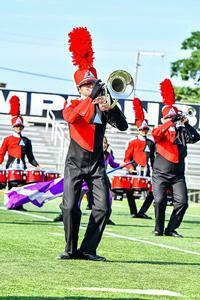 The Colt Cadets is an Open Class junior field competition corps based in Dubuque, Iowa. They serve as the feeder corps to The Colts. 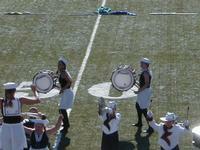 In the Fall of 1966, the Colts, then known as the Legionnaires formed the Legionnaires B Drum and Bugle Corps. Sonia Hickson was the first director of the Cadets, assisted by members of the "A" corps. When the Legionnaires changed their name to the Colt .45, and then dropped the .45 in 1976, the Legionnaires B became the Colt .45 Cadets and then the Colt Cadets, although they have sometime been called "Colts, Too." Even though the Colts have been a field competition corps since the year before the Colts Cadets was founded, the younger corps performed only in parades and stand-still exhibitions for many years. During the 1980s the Colt Cadets began entering competitions, appearing at shows in the Cadet Corps International, Illinois-All American Drum Corps Association, and Drum Corps Midwest circuits. The Cadets attended their first Drum Corps International (DCI) World Championships at Kansas City in 1988, but after going in 1988, '89, and '92, the corps did not return until 2006. Under former director Vicki MacFarlane, the Colt Cadets grew in size and competence from a "cute little kiddy corps" to a legitimate Open Class organization. 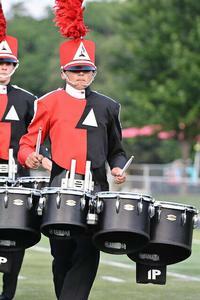 While attending DCI for ten straight years through 2017, the Colt Cadets were finalists in the DCI Open Class World Championships in Michigan City, Indiana in 2010–15.